Your home is one of the focal points of your life. It's where you raise your family, where you make so many of your memories. But accidents and mishaps, both large and small, can occur at any time, damaging, or even destroying your home and the possessions you've worked years for. The right homeowners insurance can help protect your home, your cherished possessions, and even help pay for damage you accidentally cause outside the home. Every home, and every family, is different, which is why your coverage should be customized to your needs, helping ensure you recover from all of the unexpected trouble that may crop up in your life. Property Damage Coverage: As the name implies, property damage coverage will reimburse you for damage to your home and personal property. Usually, other structures such as detached garages or buildings will be covered as well. This is the central coverage of any homeowners insurance policy, so it's important to consider elements like deductibles, exclusions, and limits when selecting your property damage coverage. Additional living expenses while your home is repaired. Replacing trees, plants, and other landscaping. Additional Personal Property Coverage: Sometimes called a personal property floater, this type of coverage helps insure the full value of expensive or cherished possessions, such as jewelry. When you elect a personal property floater, the valuables you'd like to cover are itemized, and extra insurance is purchased to cover them. This coverage is an excellent choice if you have valuables that may not be adequately covered under your home insurance policy's standard property-damage insurance. Personal Liability Coverage: In life, we all make mistakes. Personal liability coverage can protect you from liability for accidents you, your family, or even your pet are found responsible for, while on or off your property. Personal liability coverage generally has no deductible and can pay for defense costs and damages a court might find that you owe, up to the policy's limits. It's important to note that personal liability coverage only pays for non-auto accidents. Your auto insurance would cover accidents involving your covered vehicles. Coverage for Medical Payments: This type of coverage pays for the medical expenses of a guest who is injured on your property, regardless of whose fault it is. Medical payment coverage can help you avoid costly medical bills due to an unforeseen accident. Of course, accidents don't just happen in houses. There are a wide variety of packages available for condominium owners and renters. These packages can protect your valuable personal property from fire, burglary, and other mishaps. One of the easiest ways to save on your homeowners insurance is to package both your auto coverage and home insurance together with one carrier. With auto-home packages, you not only have the convenience of working with one carrier, you can also save significantly when compared with purchasing your insurance separately. 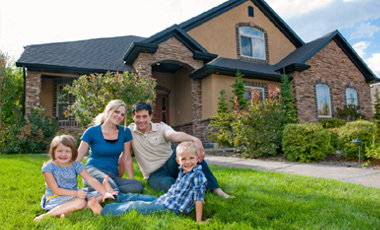 Whatever your circumstances, you have a wide choice of homeowners insurance coverage. At the Insurance Center of Milwaukee we'll discuss your home and your family, as well as any special needs or concerns that you have. With years of experience providing home insurance throughout Milwaukee, we'll help create the ideal coverage for you from among the nation's best insurers. While you can't always prevent accidents, you can give yourself the best protection to recover from any mishaps that life may throw at you and your family's greatest investment. Get a convenient, instant quote or call us today to talk about the right insurance plan for your home. Insurance for home owners, condo owners, and renters. Advice on the right policy that will meet the needs of you and your property. A wide selection of coverage from top insurance companies. Auto-Home Packages that can save you money.